Use InstantAtlas for ArcGIS Online app to change your web mapping app's layout and style. 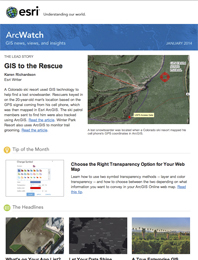 Want to amp up your mapping projects in 2014 with great apps and data? ArcGIS Marketplace is a perfect place to start. But before you shop, drop what you’re doing and check out Esri’s top 10 list of the most popular apps and data services based on sales, trials, and inquiries since Marketplace’s launch in September 2013. The countdown begins at . . . Number 10: Con terra Virtual Situation Room—Need to collaborate as a group using a digital map? Multiple participants can use this app to contribute information to a common map. The app works as a template for publishing a web map and lets everyone in your group sync up their content changes. 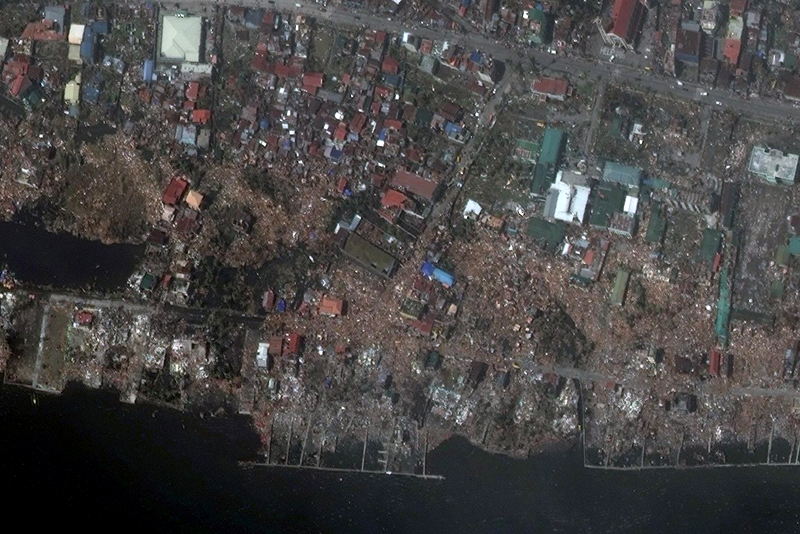 DigitalGlobe First Look imagery shows the destruction Typhoon Hayian caused in Tacloban, Philippines. 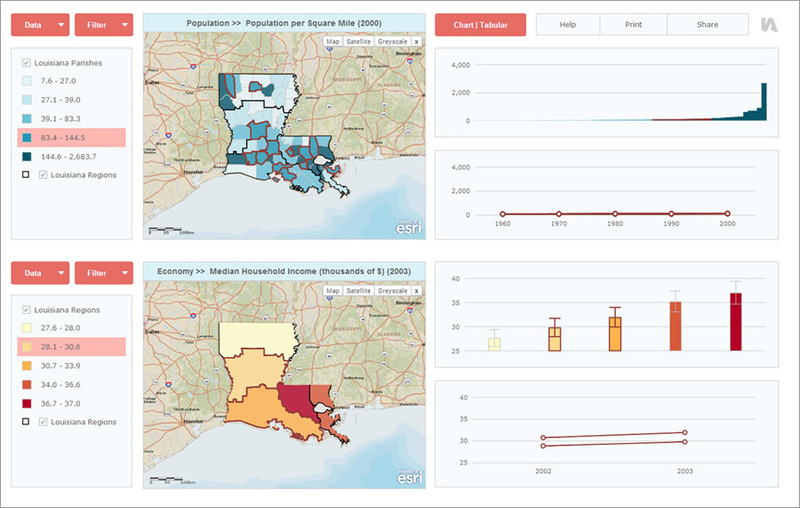 Number 9: InstantAtlas for ArcGIS Online—Use this app to change the layout and style of your web mapping app, create charts and plots, and add animated time-series charts and sliders without having to manipulate any data. This app is great for making comparisons between areas. Number 8: Geocortex Property Viewer—People often need to look up information about a particular property online. This easy-to-use app helps local governments share property information with the public. Better visualize any changing feature that needs regular monitoring with RapidEye Living Image Multispectral. Number 7: DigitalGlobe Multispectral—Streaming access to rich, full-resolution multispectral content helps you to extract information the human eye fails to see while eliminating the need to manage large datasets of imagery. Use this online service if you require highly detailed imagery for imagery analytics, geodatabase updates, and surface change analysis. Number 6: DigitalGlobe First Look—This disaster- and crisis-response service gives you before-and-after imagery of natural disasters such as floods, fires, and tsunamis; man-made disasters such as oil spills; civil unrest; and what’s happening on the ground during humanitarian crises. Imagery becomes available within hours of being collected, giving first responders and humanitarian organizations near real-time information about the situation on the ground. Number 5: RapidEye Living Image Multispectral—You can use this service to better visualize and analyze vegetation, man-made objects, or any changing feature that requires regular monitoring. The imagery is updated every three months. 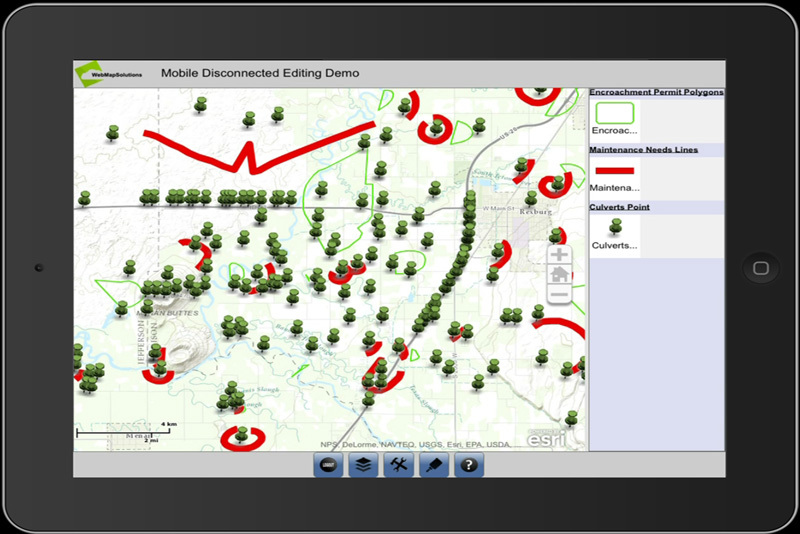 Number 4: WebMapSolutions for Disconnected Mobile Editing—If you use GIS in the field and no Internet connection is available, there’s still a way to edit your map layers. This app lets you edit points, lines, and polygons and also store basemaps on your machine. When you are back online, your edited features are synced with Esri ArcGIS Online. Number 3: AccuWeather Severe Weather Data—Severe weather, such as tornadoes and hurricanes, can wreak untold damage, so why not incorporate timely weather data into your mapping projects? This data service provides warnings and alerts for fast decision making when severe storms strike the United States. 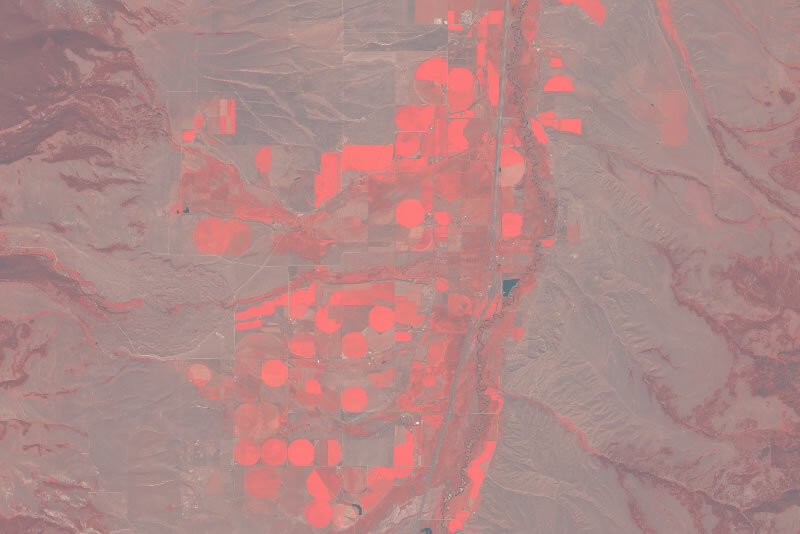 DigitalGlobe Global Basemap Service offers up to 50-centimeter resolution imagery. 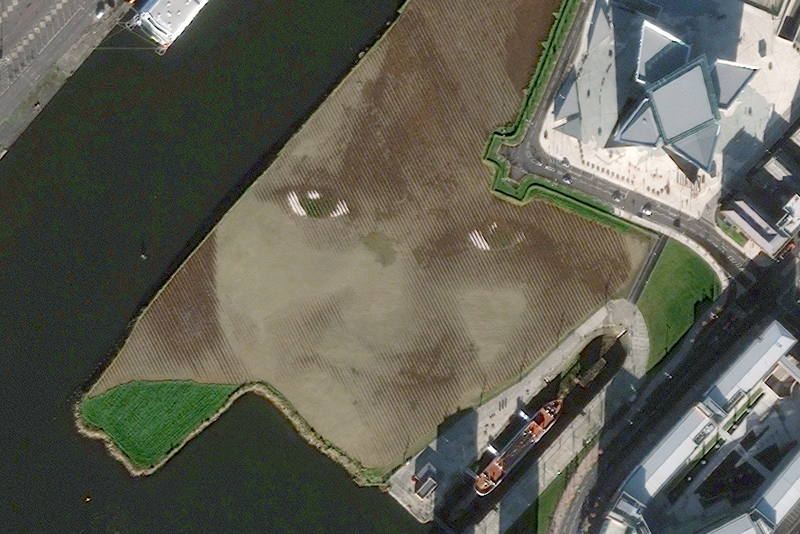 Number 2: DigitalGlobe Global Basemap Service—Need recent imagery for the United States and Canada? This high-res satellite imagery service gives you up to 50-centimeter resolution of DigitalGlobe’s newest imagery, with extensive coverage for the two countries. Number 1: RapidEye Living Image Basemap—Monitoring changes in the landscape just got easier. Five earth observation satellites from RapidEye continuously collect five-meter-resolution imagery, producing the most up-to-date basemap available for your area of interest.